Lookin good Neil! Definetly a step above the average street s-chassis! 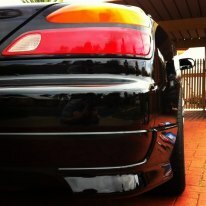 Ive got some Havoc gear on my S15, Abe's work is top notch! Future plans for my S15 is to go RB also ill be keeping an eye on this thread for sure! Looks good man! Looks good man! how much power are you getting with all that at the moment? f**k man, saw this on carsales yesterday, I was going to give him a call, wayyy to cheap to let it slide past! Advans look sick man, enjoy!! have spoken to a couple of machine shops they want me to provide cad drawings 0_o what site on the us locky? going to give wheeljerx a call and tempe other wise f**k it will chuck a hilux rear end in the *milkshake* CAD drawings? lazy *milkshakes* lol. If anybody wanted us to make them at work, depending on what you wanted you could either just provide a basic drawing, of you could leave a wheel/ hub at the shop for precise measurements/fitting. Or even a old spacer that can be used to re engineer to the size needed. There not hard to make, dont even need a CNC. A lathe, pedestal drill and a half a brain for the maths is all thats needed.